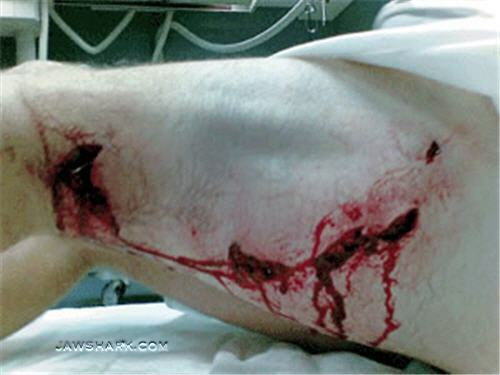 This month's Morbidly Fascinating Page will present photos of shark attacks. Most people think of sharks as vicious predators. This state of mind was popularized by the movie Jaws, and more recently, by Deep Blue Sea. 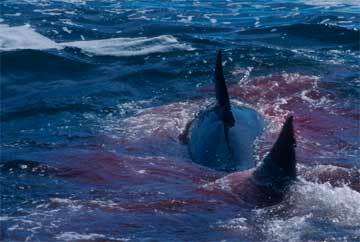 However, the perception is both unfortunate and incorrect, since there are relatively few unprovoked shark attacks on humans worldwide. 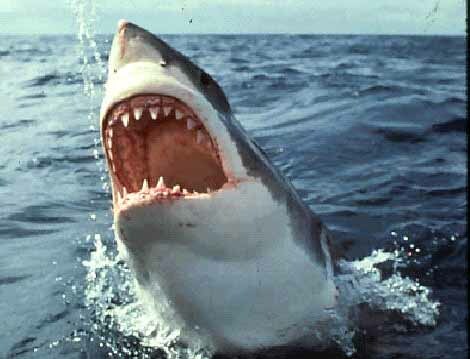 Of the more than 350 species of shark in the world's oceans, only a handful of them are considered dangerous to humans. 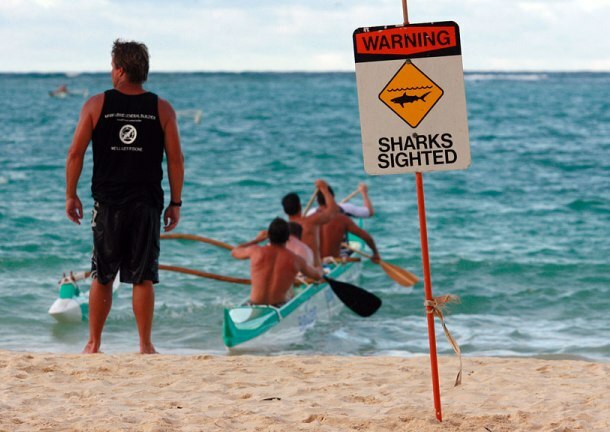 Shark attacks happen infrequently, and only 79 attacks were reported world-wide in 2010. That is a very small number when you consider that there are almost seven billion people on the planet. 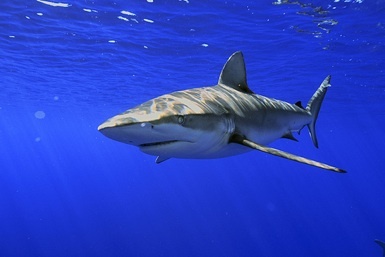 In reality, sharks are a critical part of marine ecosystems. They are a source for knowledge to help the human condition, and the basis of a valuable fishery. 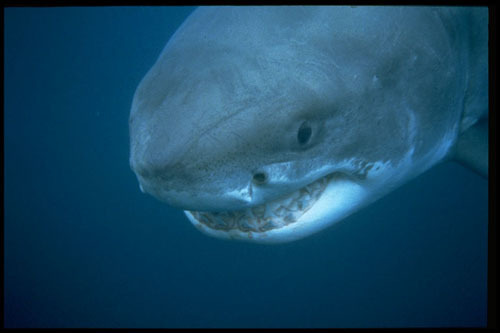 Great whites are relatively uncommon large predators that prefer the cooler waters of the deep ocean. In some parts of their range, great whites are close to being endangered. 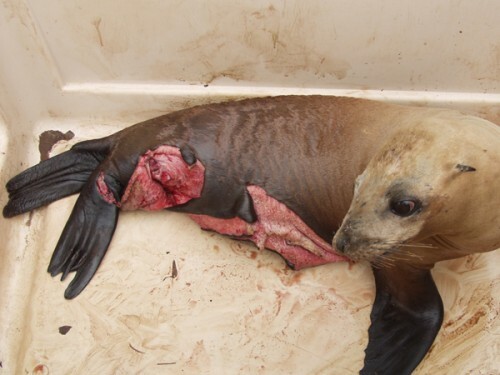 The biggest enemy to sharks are man, and we need to preserve them. However, when shark attacks do occur, they can be pretty shocking, as observed by the photos on this month's Morbidly Fascinating Page. 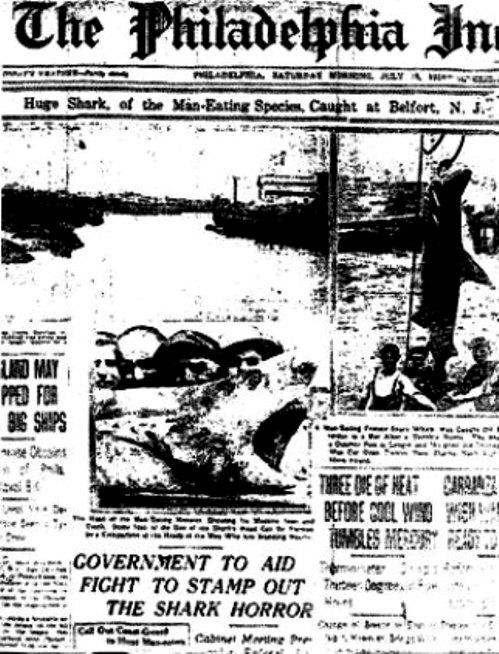 The Jersey Shore events of 1916 were a series of shark attacks along the coast of New Jersey between July 1 and July 12, 1916, in which four people were killed and one injured. Since 1916, scholars have debated which shark species was responsible and the number of animals involved, with the great white shark and the bull shark most frequently being blamed. 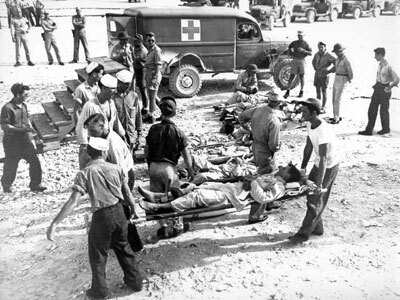 The attacks occurred during a deadly summer heat wave and polio epidemic in the northeastern United States that drove thousands of people to the seaside resorts of the Jersey Shore. 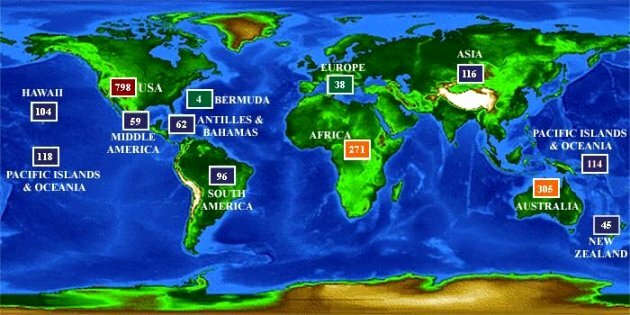 Shark attacks on the Atlantic Coast of the United States outside the semitropical states of Florida, Georgia, and the Carolinas were rare, but scholars believe that the increased presence of humans in the water led to the attacks in 1916. The Jersey Shore attacks immediately entered into American popular culture, where sharks became caricatures in editorial cartoons representing danger. The attacks inspired Peter Benchley's novel Jaws (1974), an account of a great white shark that torments the fictional coastal community of Amity. Jaws was made into an influential film in 1975 by Steven Spielberg. The attacks became the subject of documentaries for the History Channel, National Geographic Channel, and Discovery Channel, including Blood in the Water (2009). Avoid swimming in the early evening or night when there is no lifeguard on duty. Sharks normally feed at these times. Sharks are attracted to bait fish. Bait fish typically have off-white or yellow bellies and shiny scales. Look for signs of bait fish -- groups of small fish normally gathering together in a group. Bait fish can appear like a dark moving cloud in the water. Avoid swimming when the ocean visibility is poor. Look for signs of large fish in the area (jumping, splashing, swirls or fins cutting through the water). This could indicate sharks, tarpon, or any other potentially dangerous predator.